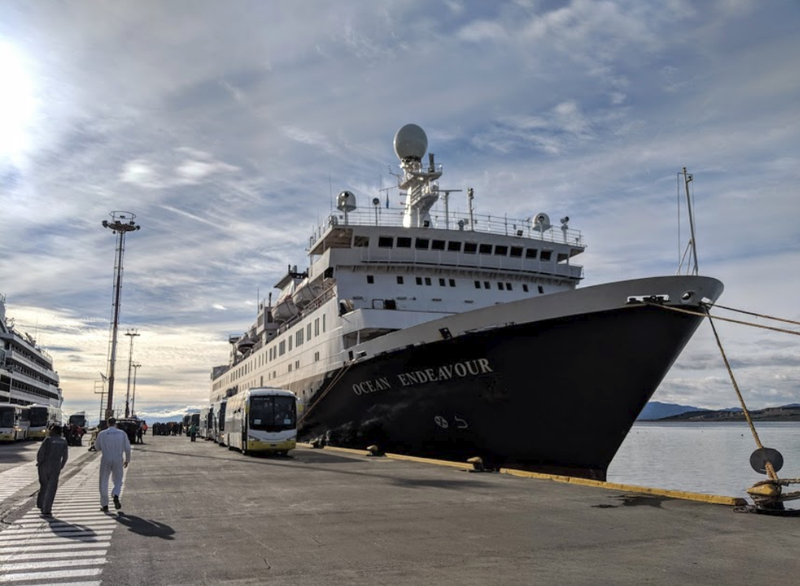 This is the ship that took us on our fantastic voyage – The Ocean Endeavour operated by Quark Expeditions. 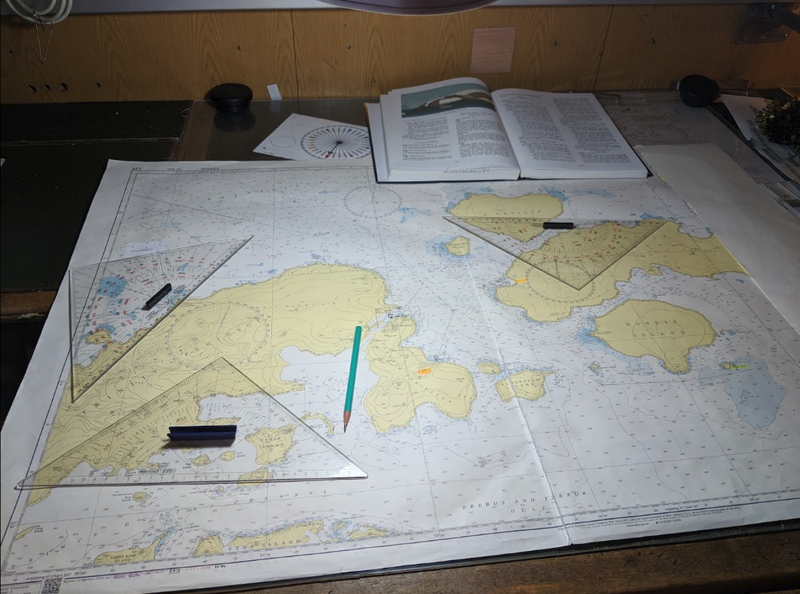 They still use paper charts for navigation as a back-up to their electronic equipment. 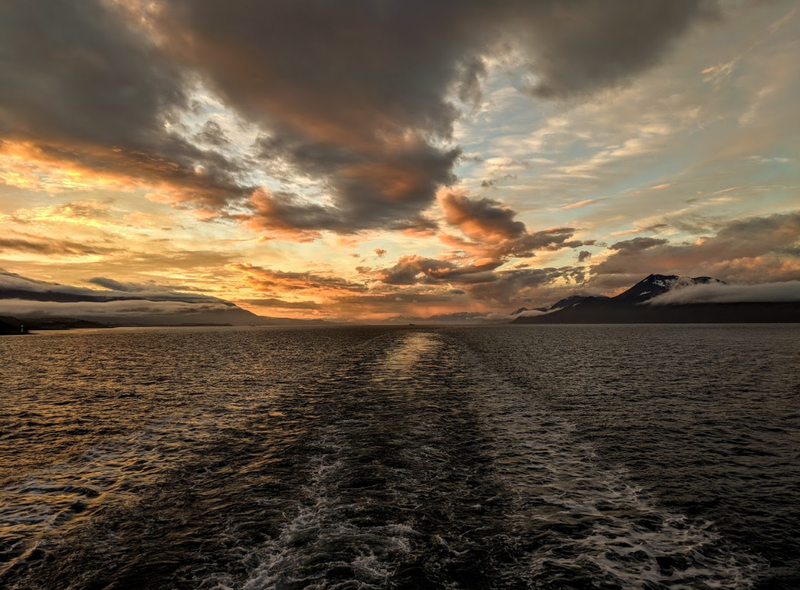 Sunset over the Beagle Channel as we head off on our expedition.